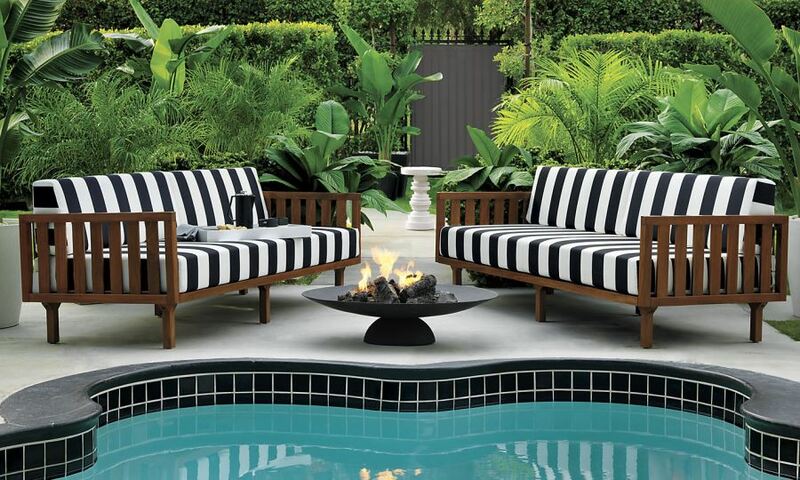 For the ultimate in outdoor elegance, check out these Filaki Loungers with Black and White Stripe Cushions from CB2, designed by Jannis Ellenberger. 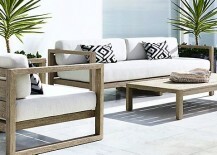 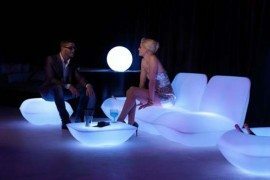 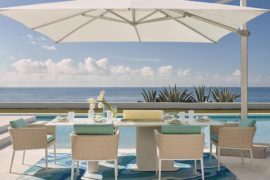 As with the sofa above, these furnishings are covered in weather-resistant polyester, making them as durable as they are stylish. 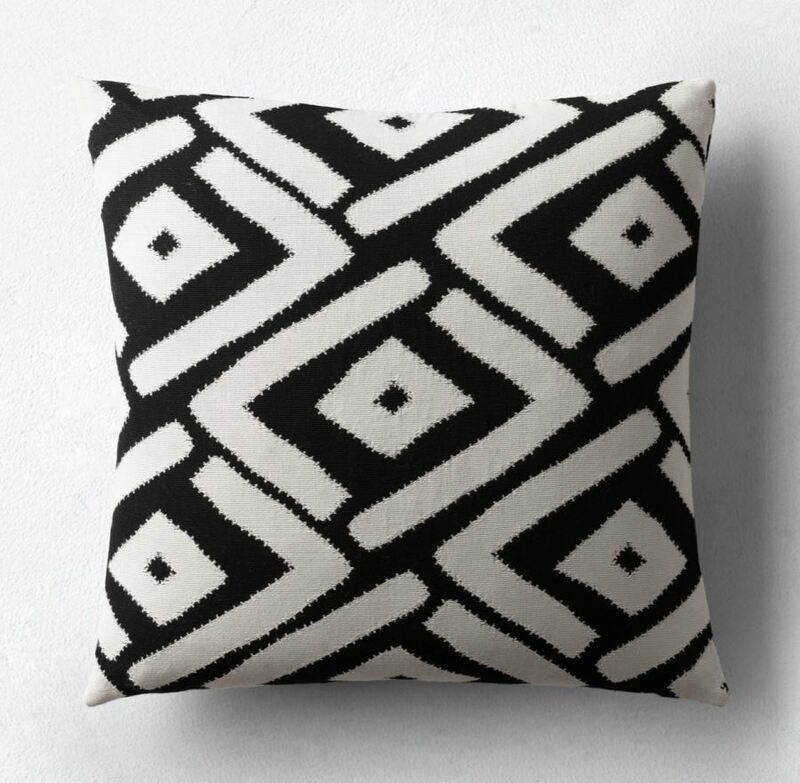 If you’re looking to introduce some black and white into your seating but you weren’t planning on purchasing new furniture, try adding a pillow or two. 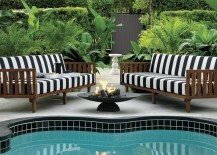 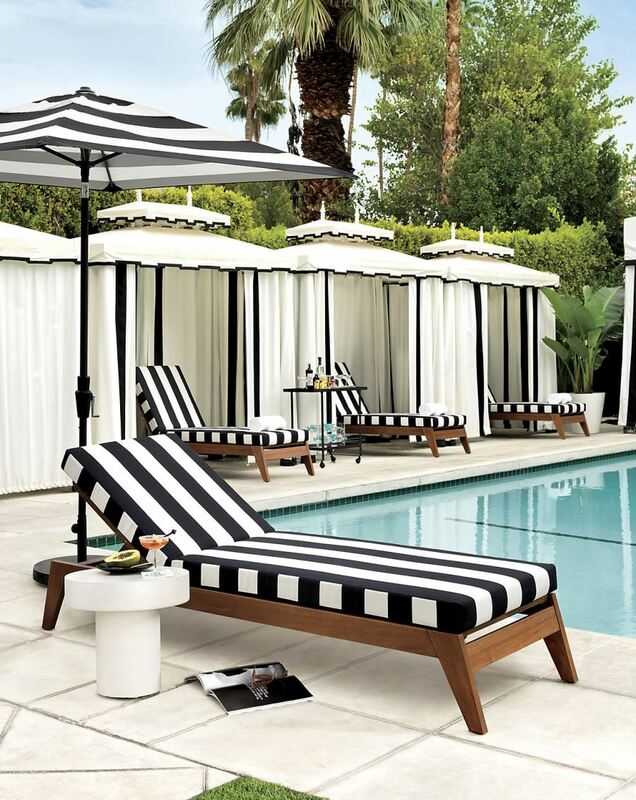 Restoration Hardware is currently offering some chic, eclectic selections in bold patterns. 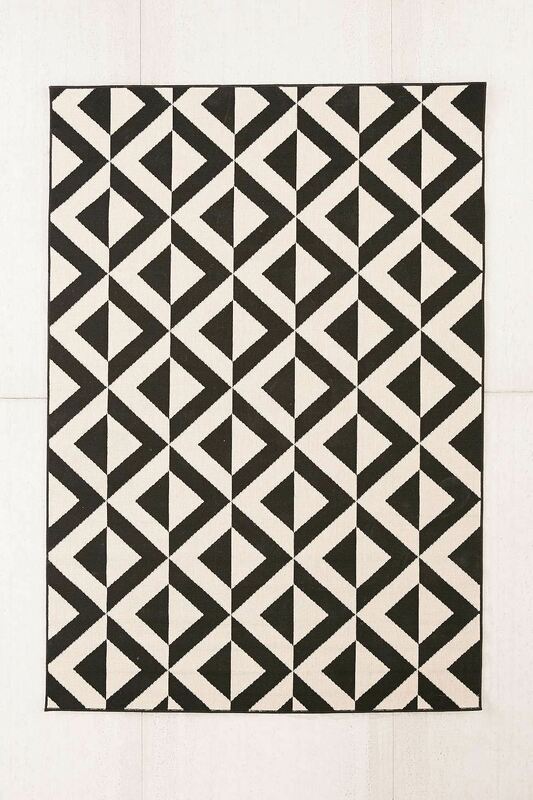 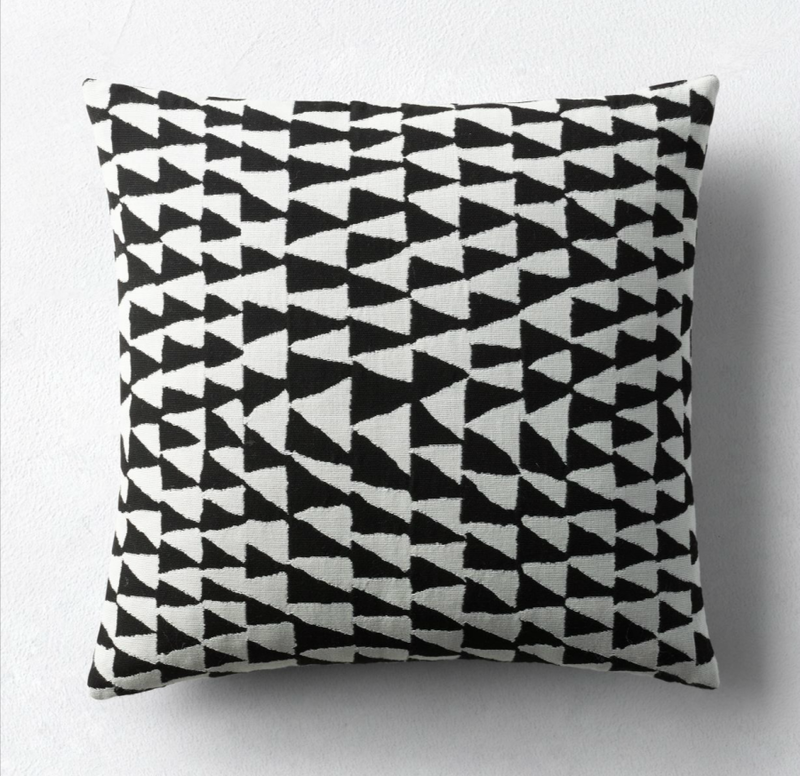 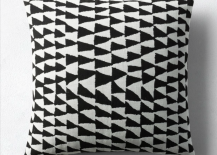 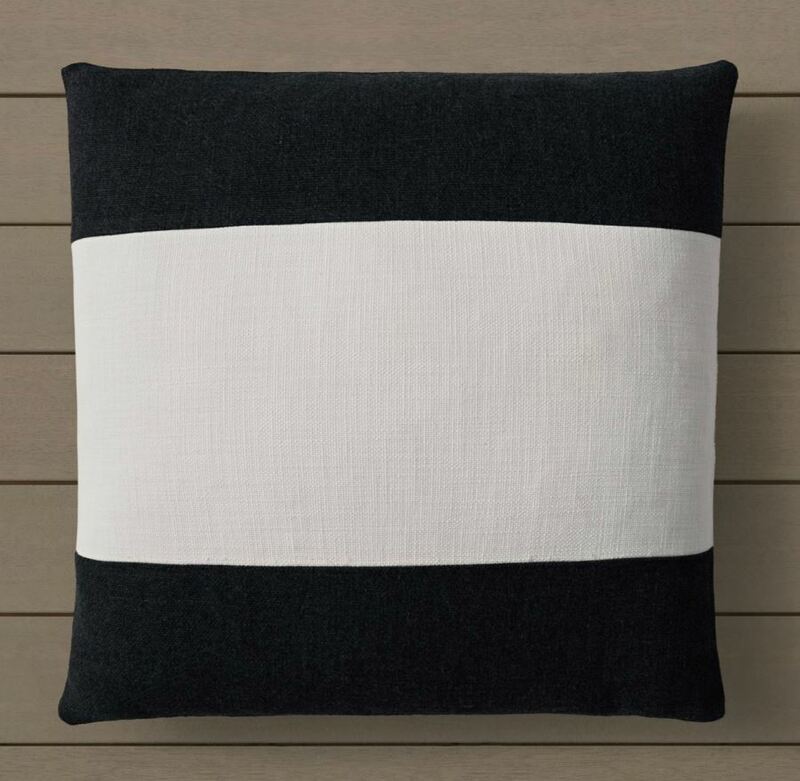 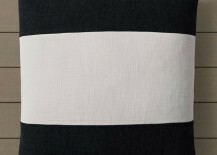 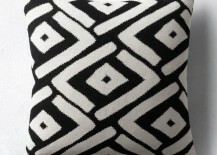 Another design by Kerry Joyce, the Modi Square Pillow Cover in Black/White from Restoration Hardware brings its mudcloth-style design to your patio. 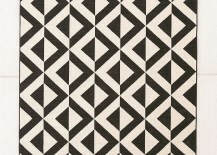 Celebrate the triangle by reveling in the primitive geo possibilities this shape holds. 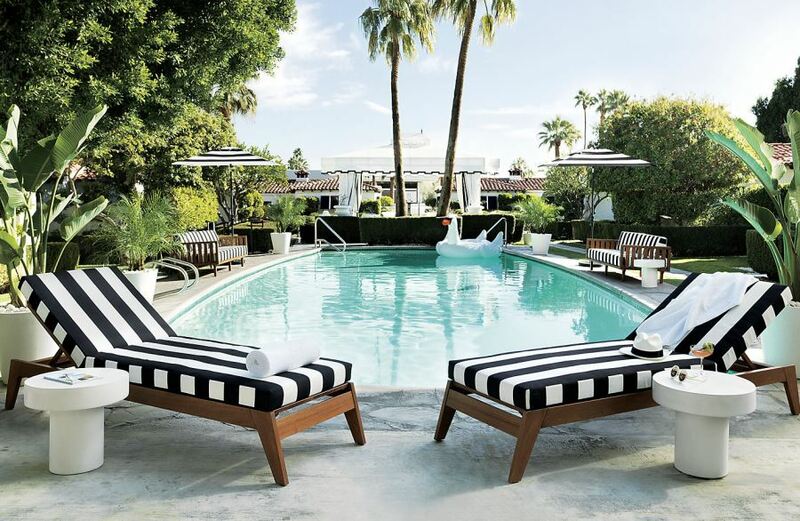 Your lounger will thank you for the update! 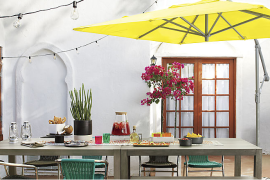 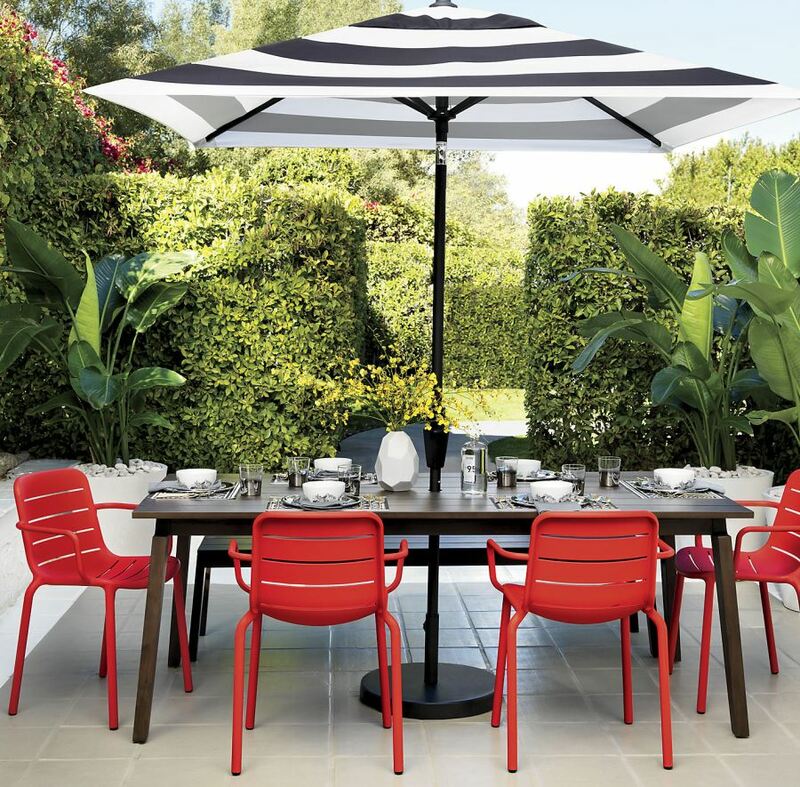 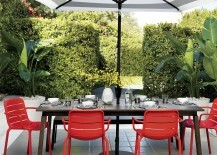 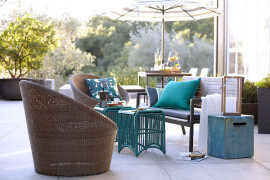 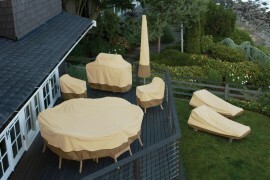 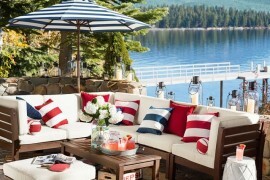 Got colorful outdoor chairs and pillows? 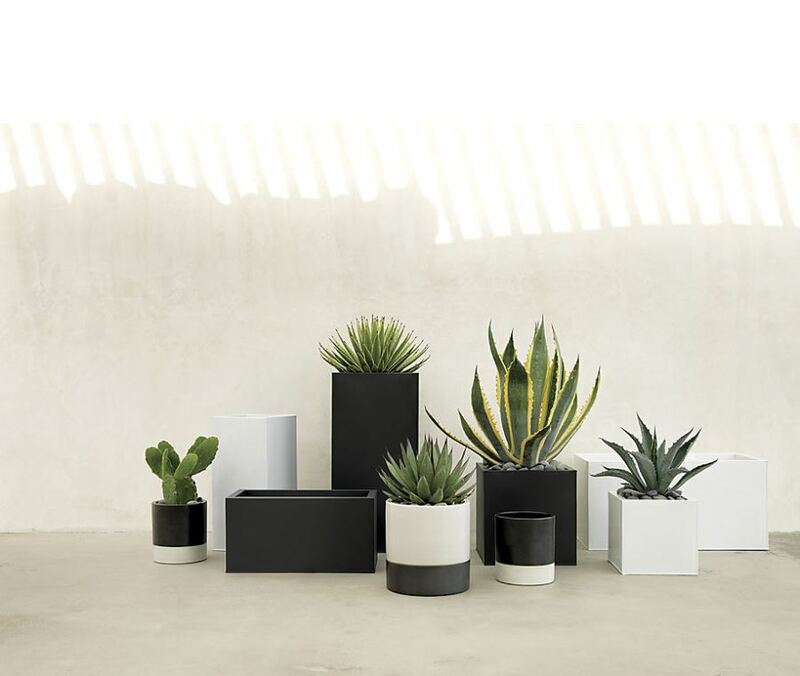 Give them a boost of classic contrast with some black and white planters from CB2. 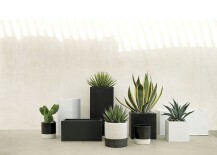 Greenery looks extra fresh when sprouting from black and white vessels. 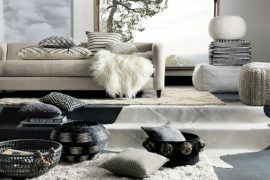 Plus, they will complement any color palette!